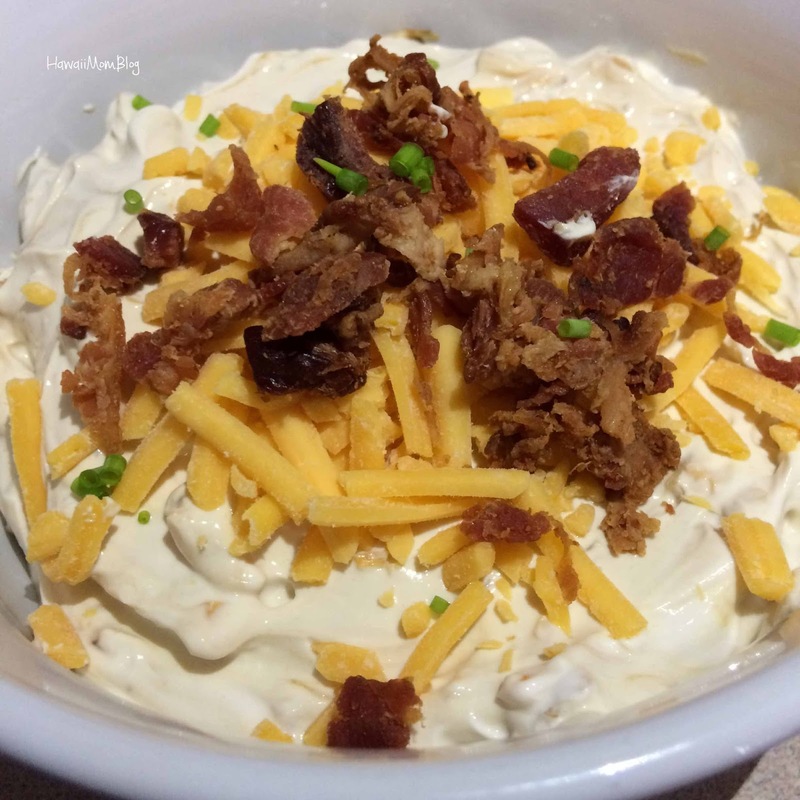 The big game is just a few days away, and if you find yourself needing a last-minute recipe for game day (or even for when unexpected guests pop up), this Bacon Onion Cheddar Dip will fit the bill. Mix all ingredients and chill for at least 30 minutes. Garnish with cheddar cheese, bacon bits, and green onions (optional). Oh this sounds nice and I think I have all the ingredients to make it.